The Centennial safes are ideal in high-risk fire areas such as automotive repair shops, paint shops, chemical and/or fertilizer storage facilities and other places where a sustained fire is a risk. Centennial offers fire and impact rated protection as well as UL-RSC theft protection for more business critical applications. Several Centennial models include a 2-hour fire and impact rating. It's safe to say we are serious about security. It's also safe to say we wouldn't be here today without the vision and wisdom of Charles Meilink. 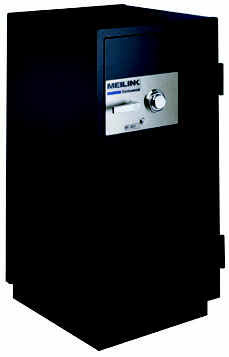 As a special tribute to our heritage and founder we proudly offer the Meilink Centennial Anniversary Series of safes. The Centennial safes are ideal in high-risk fire areas such as automotive repair shops, paint shops, chemical and/or fertilizer storage facilities and other places where a sustained fire is a risk. Six of eight models carry a UL class 350 2-hour fire rating and all Centennial models have passed UL's impact test. * All meet stringent security tests and carry the RSC UL label, and a UL listed relocker.